As China's labor, manufacturing and resources costs continue to rise, Ethiopia, one of the least-developed countries in the world is hoping Chinese companies will consider opening more factories there. Mesfin said a good labor supply, low energy costs and high-quality materials support development in his country. The company is an original equipment manufacturer from Dongguan in Guangdong province for leading global brands such as Calvin Klein, Coach and Louis Vuitton. After a meeting Ethiopian senior government officials last year, Huajian opened its factory near the country's capital, Addis Ababa, using an investment of $2 billion, which will create more than 100,000 jobs for local communities over the next decade. With 85 million people, Ethiopia is the most populous country in East Africa. The ambassador said more than half of the population is engaged in productive labor. The average wage for workers in Addis Ababa is 300 yuan ($48) per month, a quarter of that in Dongguan, one of China's main manufacturing bases. "We also have plenty of hydropower and wind power," Mesfin added. "In almost all major infrastructure programs in Ethiopia, you can find a Chinese company's footprint. They help us collect more natural resources and lower the cost of energy, which has become a major attraction for international investors." The Ethiopian government said China is the third-largest foreign investor in the country by direct investment volume, which to date totals $364 million. The funds are distributed across the automobile, textile, hotel and machinery equipment sectors, and in the manufacturing of products for general use. In an interview with China Daily earlier this year, Ethiopia's then-prime minister Meles Zenawi said he highly valued China's role in his country's development. 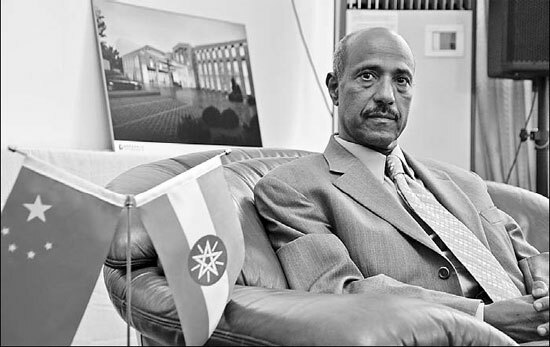 "Many countries can see those advantages and opportunities in Ethiopia," Mesfin said. "Chinese companies didn't get those contracts easily. They are winning in a very competitive market." Compared with Western countries, which are the usual investors in Africa, Mesfin said they prefer the way Chinese investors do businesses in his country. "Chinese investment has a very good policy of non-intervention in internal affairs," he said. "This doesn't mean that China does not care about the situation of African's human rights or democracy. The highest-level investments from Western countries are attached to concerns about those issues, which damages prospects." To encourage more Chinese investment in Ethiopia, the embassy will host a weeklong event in Beijing next year to promote business opportunities and improve cultural exchanges between the countries. Thousands of Ethiopian students are studying in Chinese universities. Besides learning about China, they also attend activities at their schools to introduce Ethiopian culture to Chinese friends. "Our relationship is based on cultural exchanges at the people-to-people level," said Mesfin. "The more we understand each other, the better we can cooperate and seek common interest together. We welcome friends in China to come to our Ethiopian Week in Beijing next year to get to know us better."